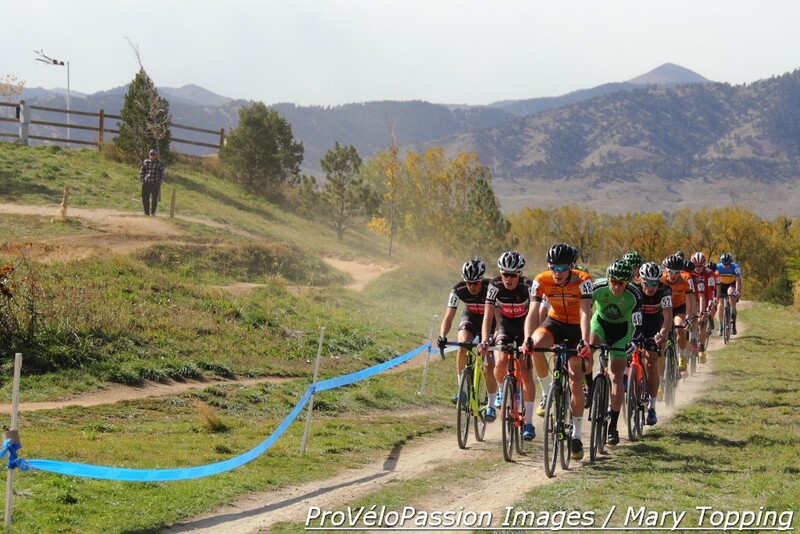 This year Geoff Proctor will strengthen a July cyclocross tradition by holding not one but two development camps in Montana. The new six-day session is for young women only. 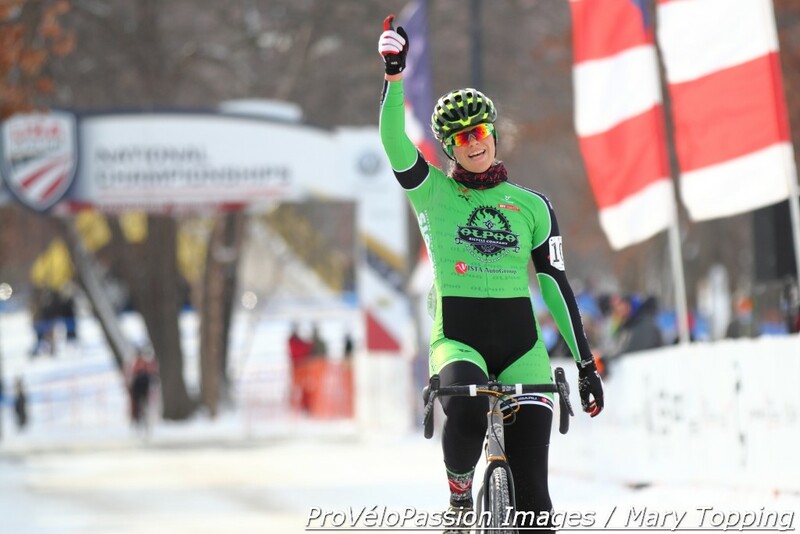 Beginning on July 10, they will learn under the guidance of a dedicated coach, Kaitie Antonneau (Cannondale p/b Cyclocrossworld.com). 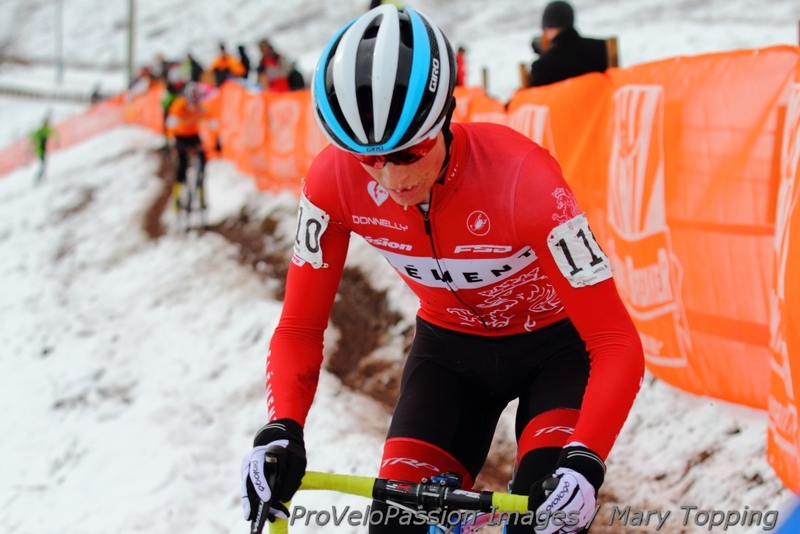 Proctor, also a member of the UCI Cyclocross Commission, directs the camps which are organized by GP Velo Mondial of Helena, Montana. Eight women have been invited. Just like the men, riders are selected based on their results and character. 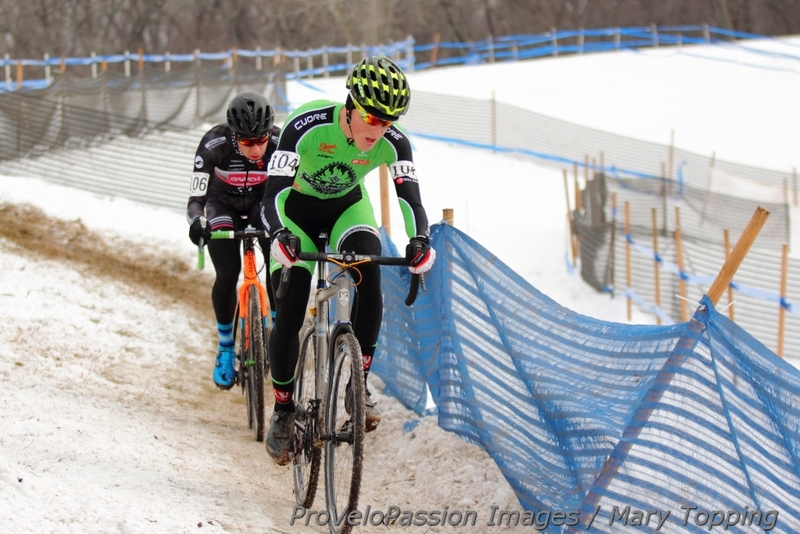 For more than a decade Proctor has come to know and shepherd many female athletes to success in cyclocross. 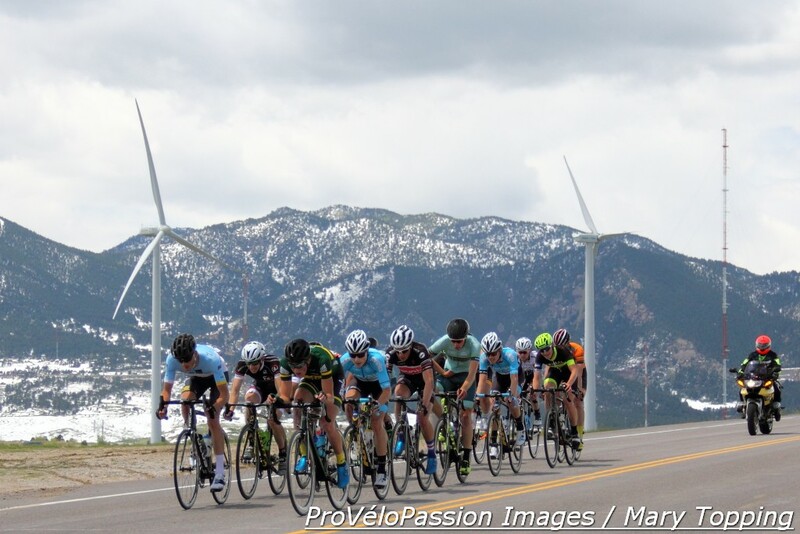 Additionally, their performance in other cycling disciplines has benefited from honing ‘cross skills, such as sprinting out of corners and finessing the bike under dicey conditions. 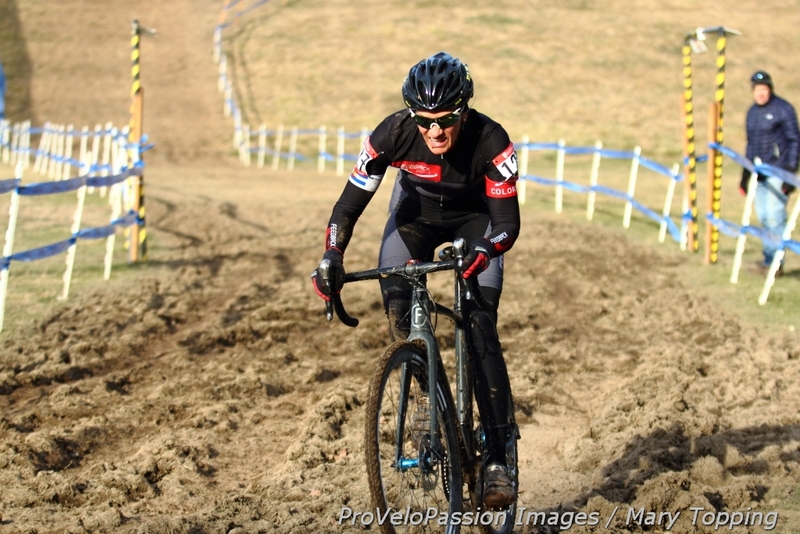 He’s also worked with women as founder of EuroCrossCamp and in his role as Team USA manager at European cyclocross competitions. D’Alusio and Hall were also members of the first EuroCrossCamp class in 2003. In the Team USA capacity he’s worked with talents such as Elle Anderson, Courtenay McFadden, Ellen Noble, Emma White and Antonneau. 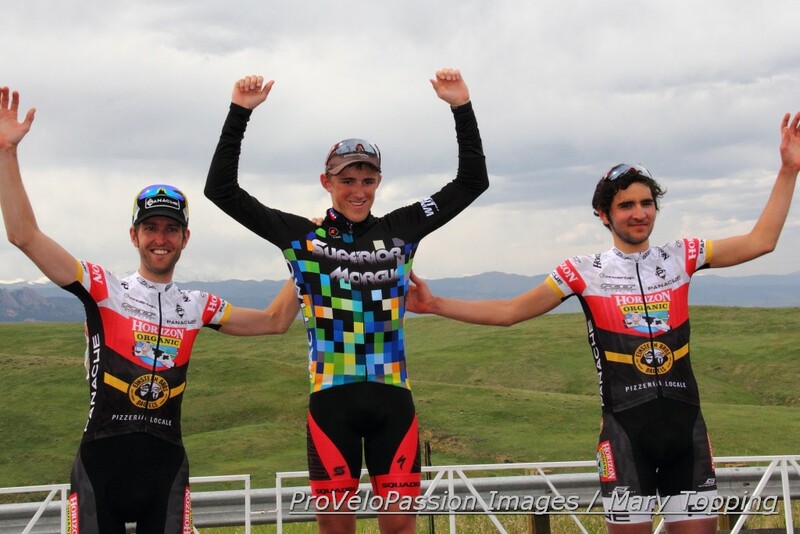 Regarding Antonneau, three experiences with the petite dynamo stand out in Proctor’s mind. 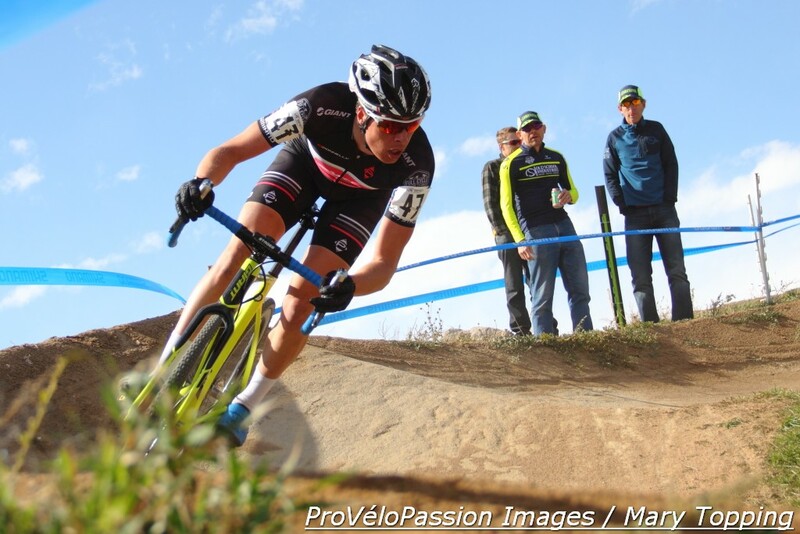 There’s Thanksgiving 2011 at Koksijde when Antonneau and Luke Keough both raced that block; Proctor is happy to have presided at what he thinks may have been the first meeting between this couple with wedding plans. 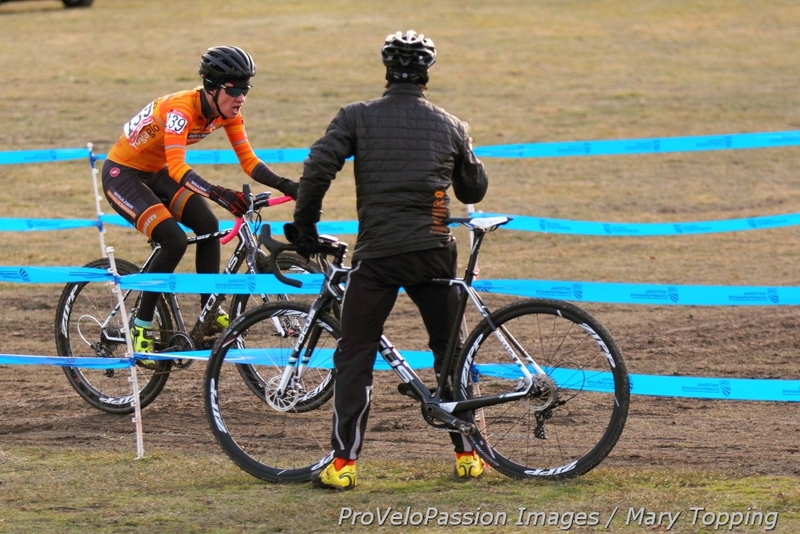 In 2015 at the Valkenburg World Cup, Proctor was present as team coach for Antonneau’s second place finish. And most recently they spent time together over Christmas week racing last year. “I drove Kaitie back from the Namur World Cup to Sittard, sharing thoughts on life and athletics,” Proctor wrote. “That was when I made the decision that I really wanted to have Kaitie help with a summer women’s camp. 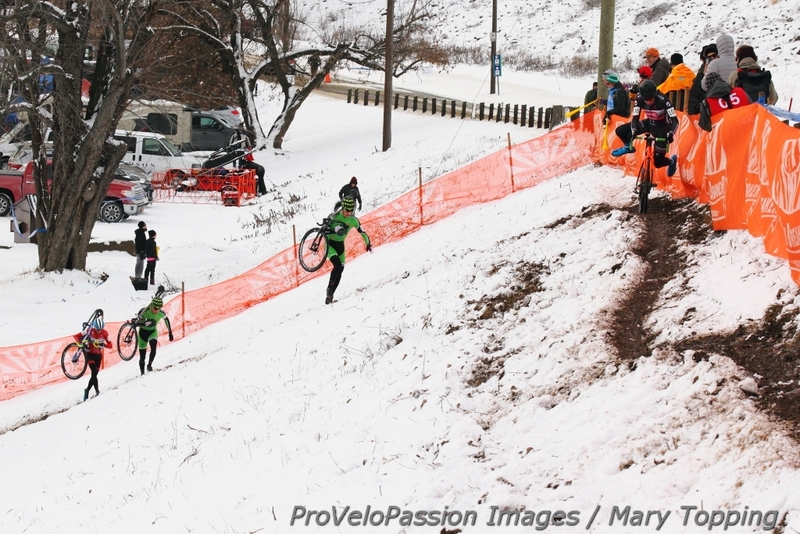 Pro rider Allison Arensman will assist the women as a guest rider. 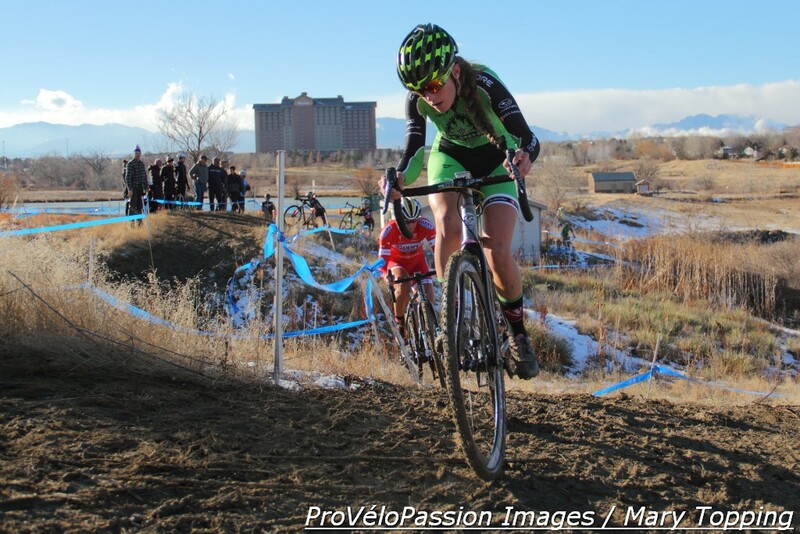 She owns a new elite and development women’s cyclocross team, J.A. King p/b Blue Ridge ‘Cross. The men’s cohort of 22 will converge on Helena, Montana, later in the month on July24. 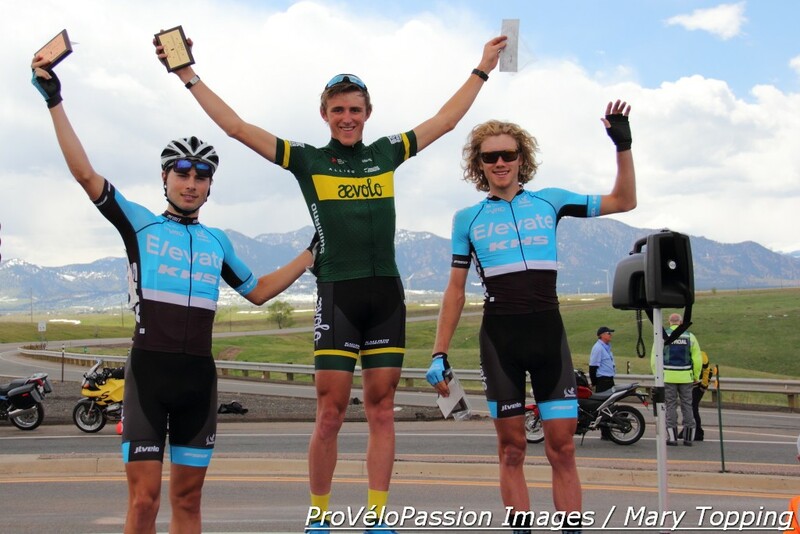 Proctor has staged the men’s development camp annually since 2011. 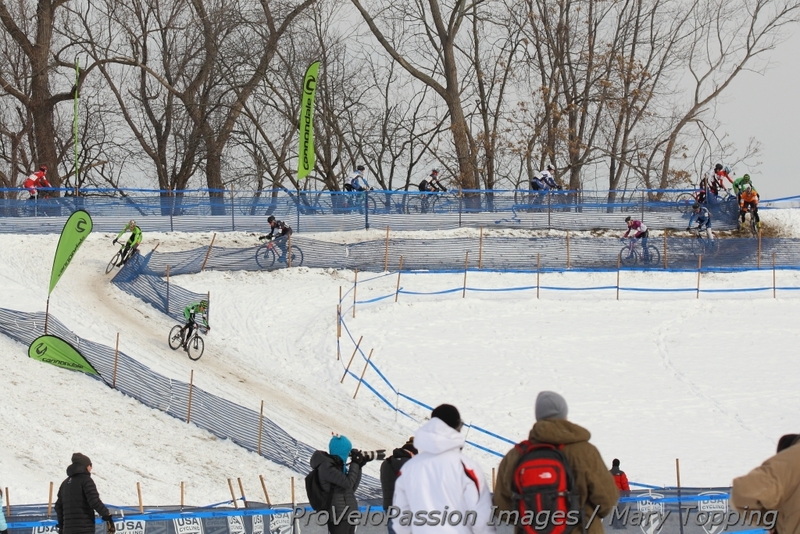 The alumni constitute a “who’s who” of nationally and internationally successful cyclocrossers. 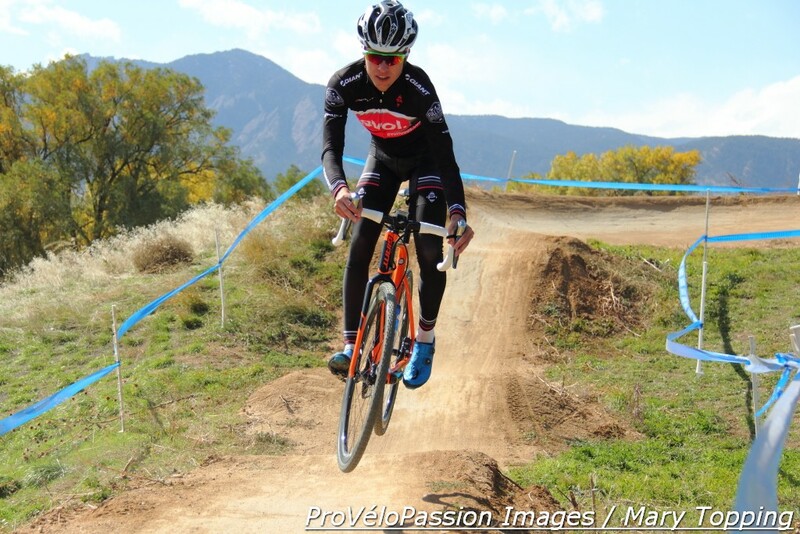 Among them is prior U23 national ‘cross champion Tobin Ortenblad (Santa Cruz Factory Racing) who will assist as a guest rider at both camps. 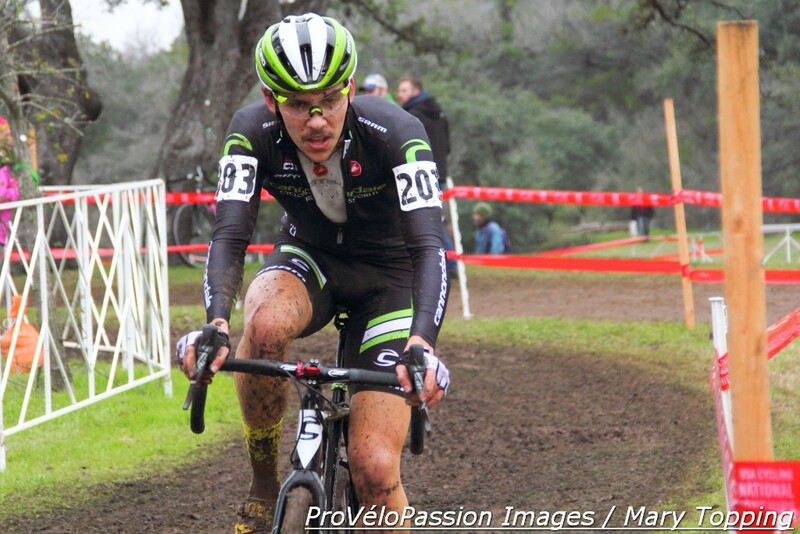 Alum Gage Hecht nearly placed third in the junior men’s world cyclocross championships in 2015. 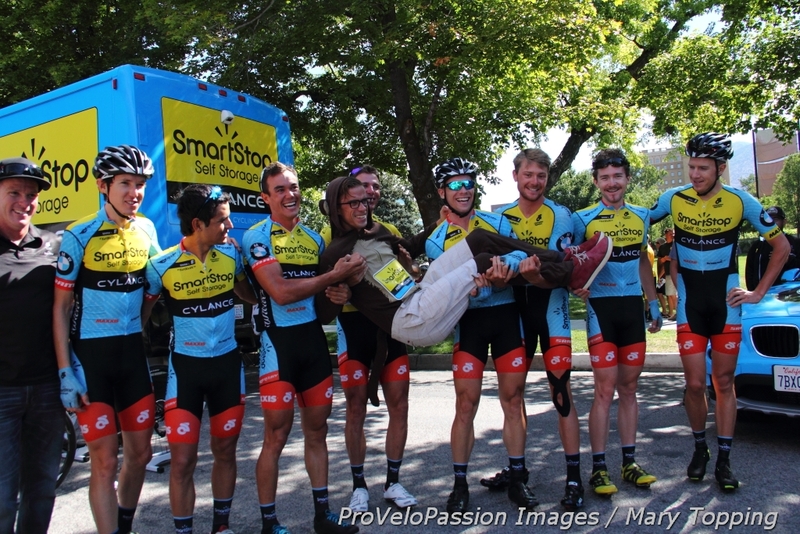 Hecht attends camp with several U23 riders; the addition of that age group is another expansion of the Montana tradition. 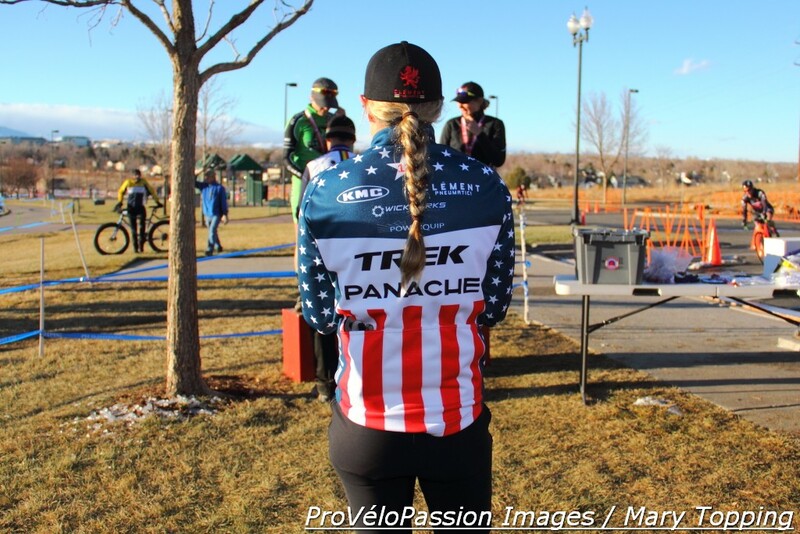 In addition to Hecht, other Colorado riders expected to take part in the camps are: Ashley Zoerner, Petra Schmidtmann, Laurel Rathbun, Brannan Fix and Jared Scott. For over 50 minutes his heart, the conductor of his ride, pumped so hard it nearly rapped on his rib cage. He balanced on a thin line between gutsy risk and a hospital bed, trusting the tenuous grip of rubber on icy ground. He relied on athletic instincts honed for more than a decade to drive the bicycle that had become a natural extension of his body. 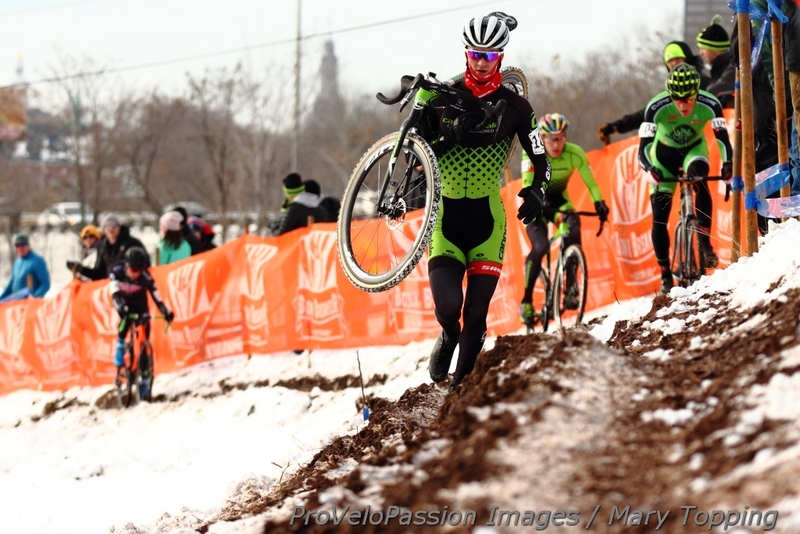 A thin layer of lycra and sweat was all that stood between his skin and Hartford’s sub-freezing cold in the U23 race at 2017 cyclocross national championships. This is Maxx Chance of EVOL DevoElite Racing. 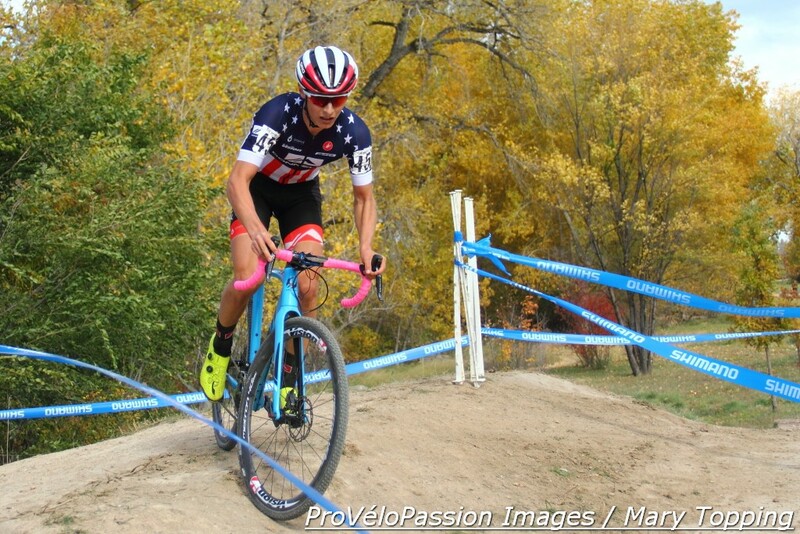 It looked like he’d become a national champion in just three short turns and soon wear a new jersey featuring American flag stars and stripes to replace the dark gray and pink he raced in now. That cherished payoff redeemed much more than 50 minutes of flat-out effort. It made up for innumerable instances of bad luck and disappointing days when body, mind or bike refused to cooperate. Countless hours of stamping feet and flexing fingers to return them to warm and pink. Lost time waiting in airports for delayed flights. 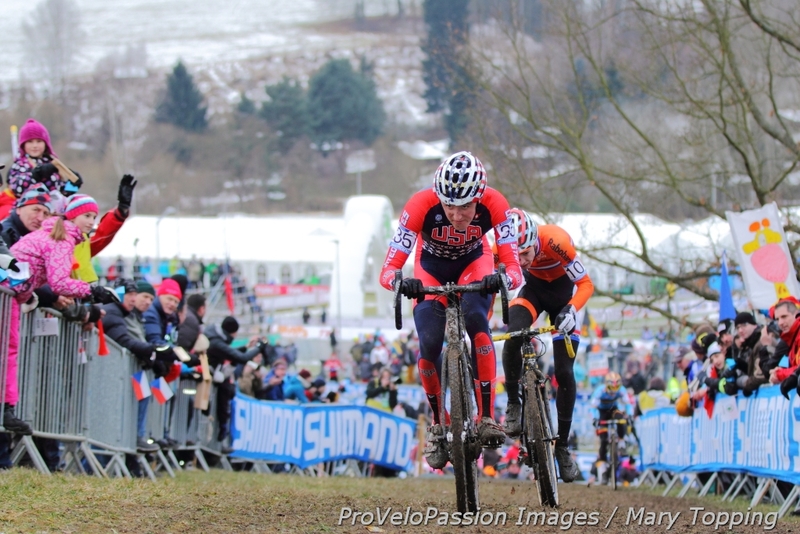 And most recently, an elbow that pushed him off a flyover into a throng of beer-toting Belgian cyclocross fans. 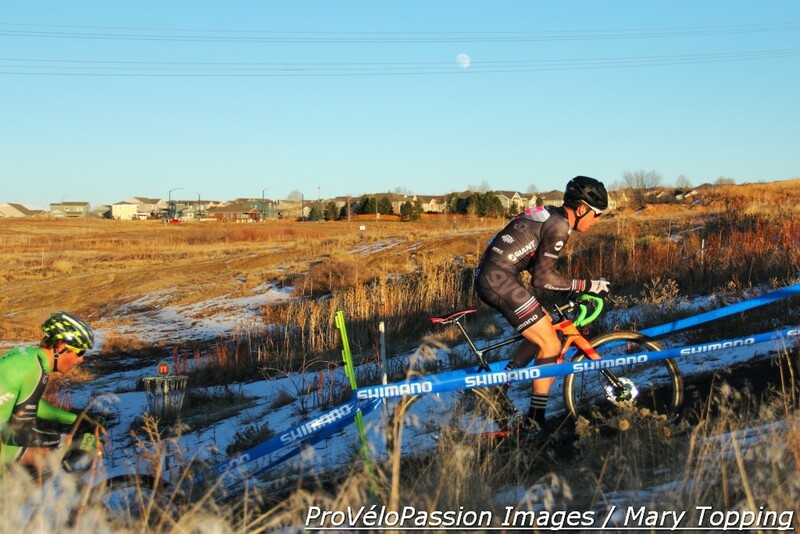 Then in a surrealistic second those three short turns stretched into infinity after a slip on the slick track dislodged his chain, rendering Chance powerless and nullifying every ounce of effort and preparation. Close behind a rival on course inched closer. 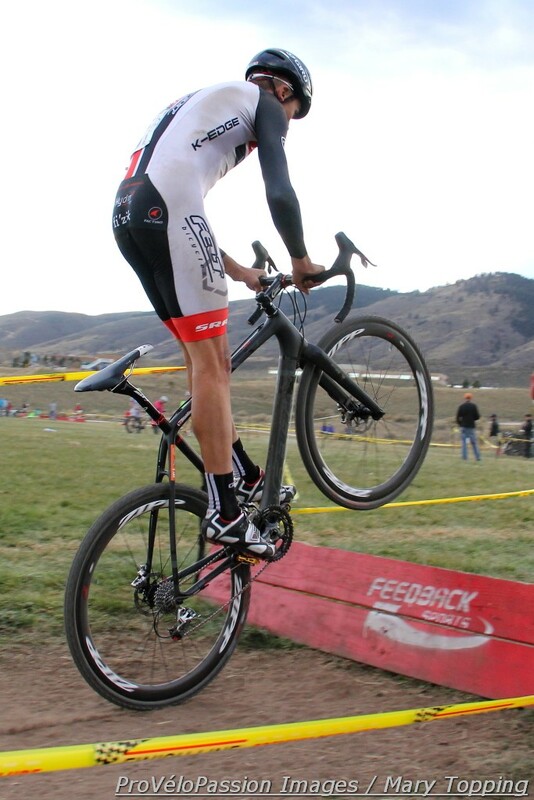 Hours earlier he had told a teammate that he had never felt better on a cyclocross national championship day. He believed he could win. 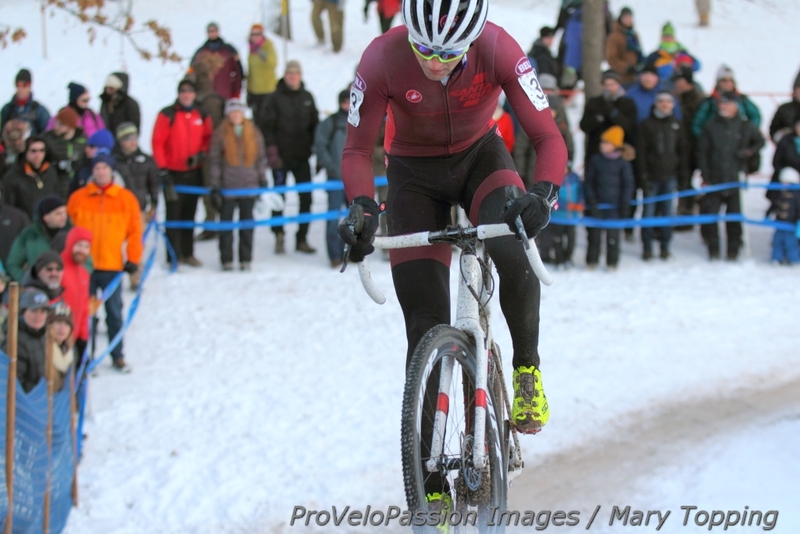 Spurred on by confidence and memories of how cyclocross cruelty denied him a shot at those stars and stripes two years before, he maintained contact with Chance through two flats and related bike changes. This is Lance Haidet (Clement). Haidet flashed by Chance as the latter dismounted to lift the chain to its rightful place. 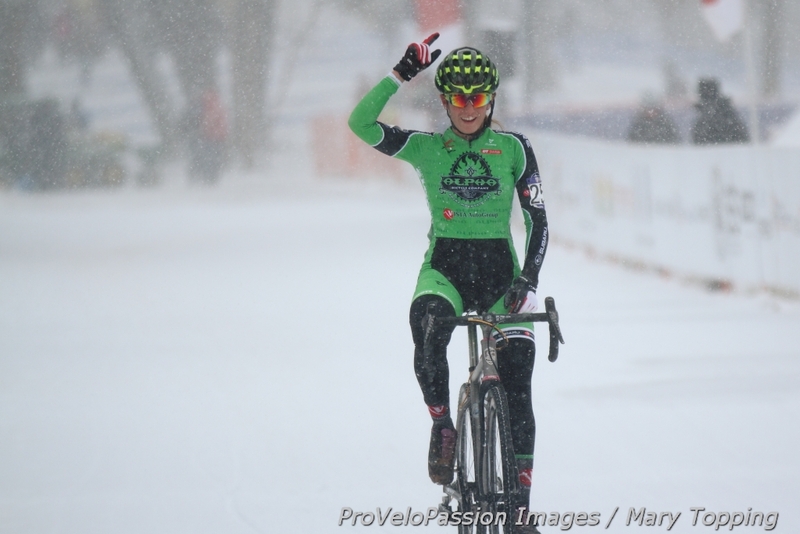 Three turns later, Haidet raised his arms in victory as cameras captured his win forever. Back on his bike, Chance’s view of the victory scene ahead punctured his heart. A flood of disappointment and frustration mixed with an ocean of dammed up hope poured out and soaked him from head to toe as he rolled into the post finish line area, head bowed. Then Chance turned around, shook off the leavings of ‘cross cruelty and faced a microphone. 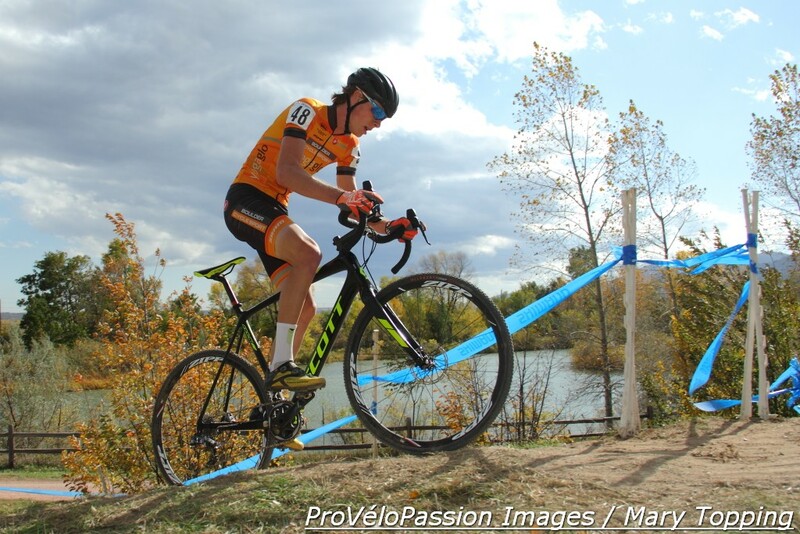 Just like Gage Hecht (Alpha Bicycle Company – Vista Subaru) and Grant Ellwood (Boulder Cycle Sport / YogaGlow) predicted, the U23 riders at the 2017 cyclocross national championships delivered a dynamic and wild race, the most thrilling of a day of elite racing. 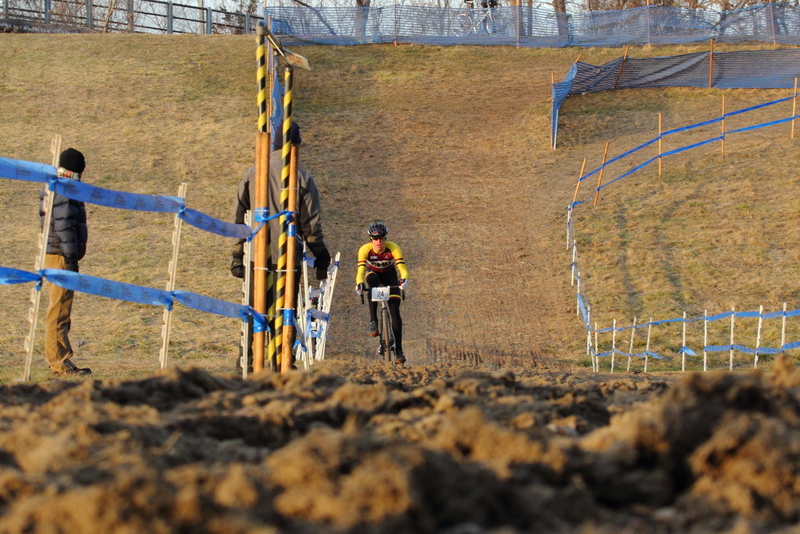 The rider in front changed numerous times over the initial four of seven laps. 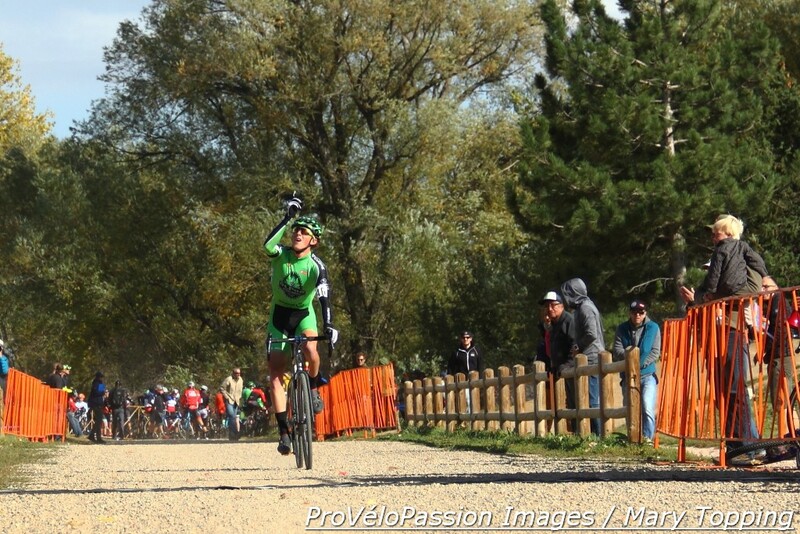 Then Chance took charge and held the lead until that chain drop just seconds away from the finish line. 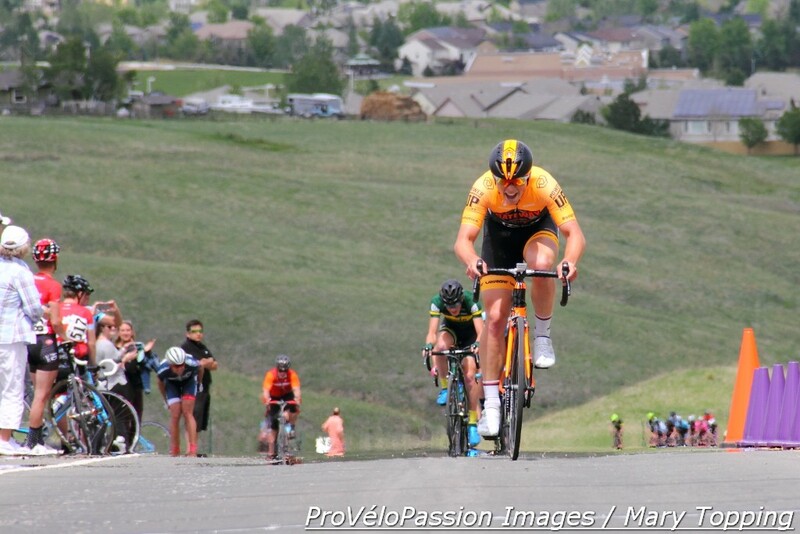 In lap one riders attacked Bonk Breaker Hill aggressively. Peter Goguen (Race CF), a pre-race favorite named by Curtis White (Cannondale p/b Cyclocrossworld.com) took the race lead there in the first lap then fell back after slipping at least twice. The first descent down Bonk Breaker Hill passed smoothly for the front-runners. Hecht, White and Chance had already separated themselves a bit from those behind. 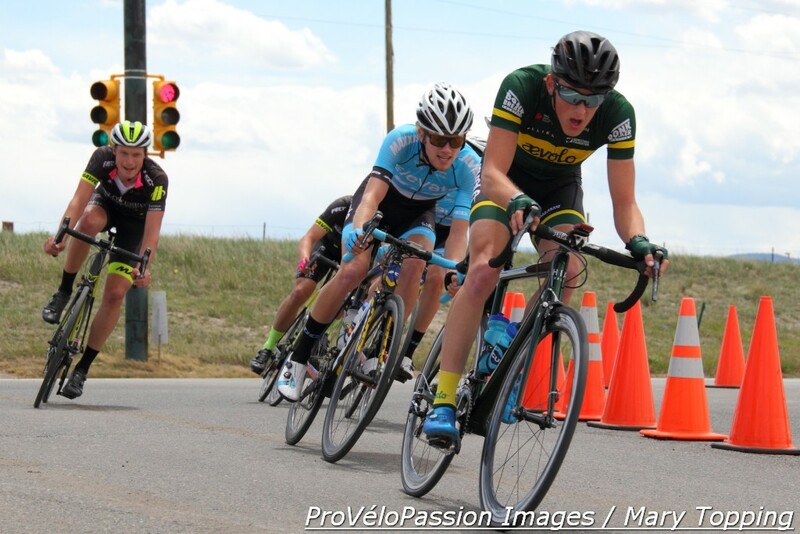 Goguen, Jonathan Anderson (Fort Lewis College), Haidet, Brannan Fix (Alpha Bicycle Company – Vista Subaru) and Ellwood kept them in sight. 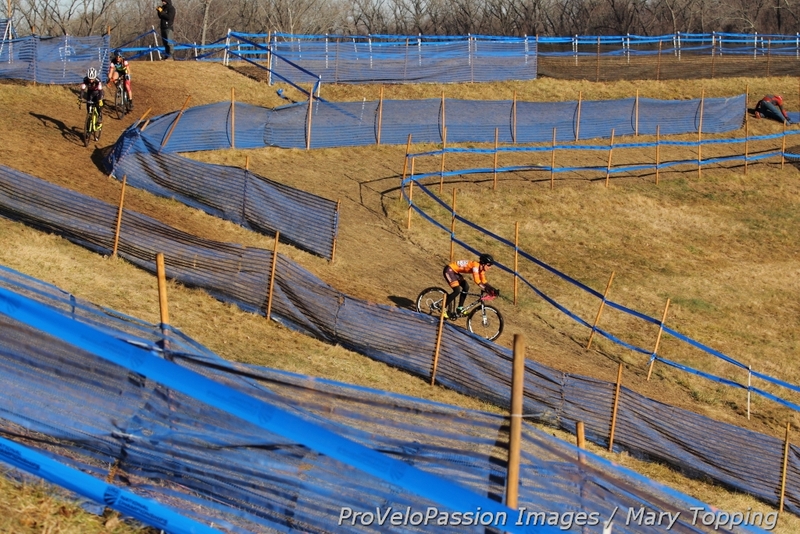 Cooper Willsey (Cannondale p/b Cyclocrossworld.com) blazed the trail in lap two on the hill. By now the main contenders had already established a decent gap to the rest of the field. The track headed into the woods after the descent off Bonk Breaker Hill. 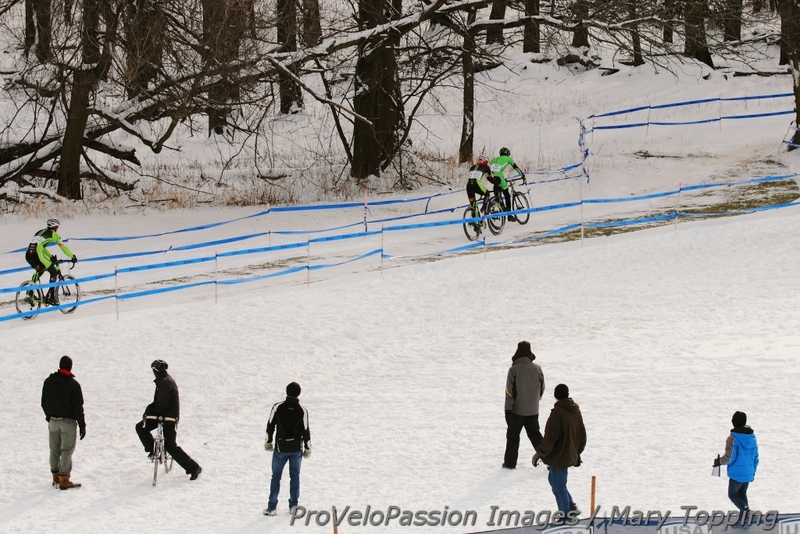 The ruts and icy ground between trees made it one of the most treacherous parts of the course. 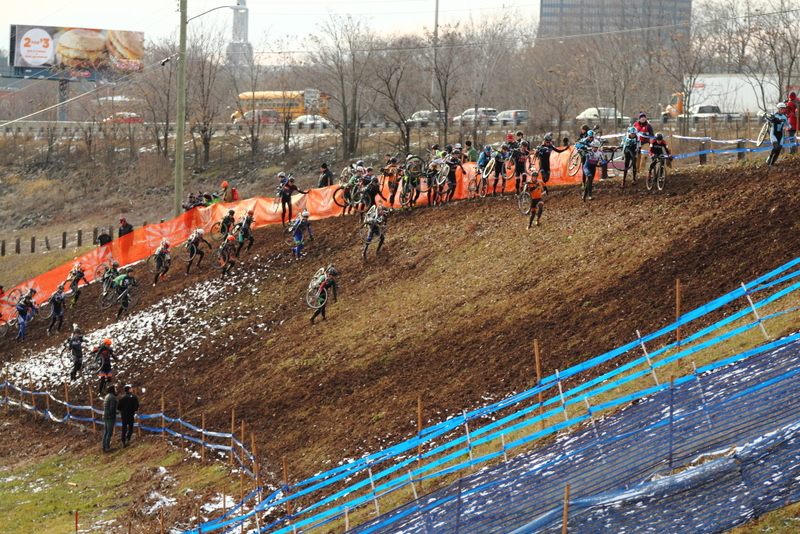 On the hill in lap three Chance pedaled ahead of his rivals. 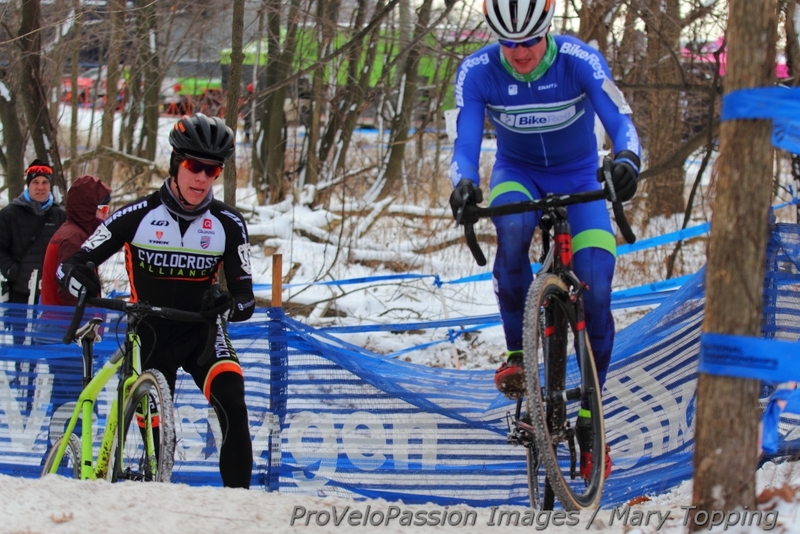 One lap later he and Hecht rode together with twelve seconds back to White and Fix. Willsey, Ellwood and Haidet followed another twelve seconds behind. 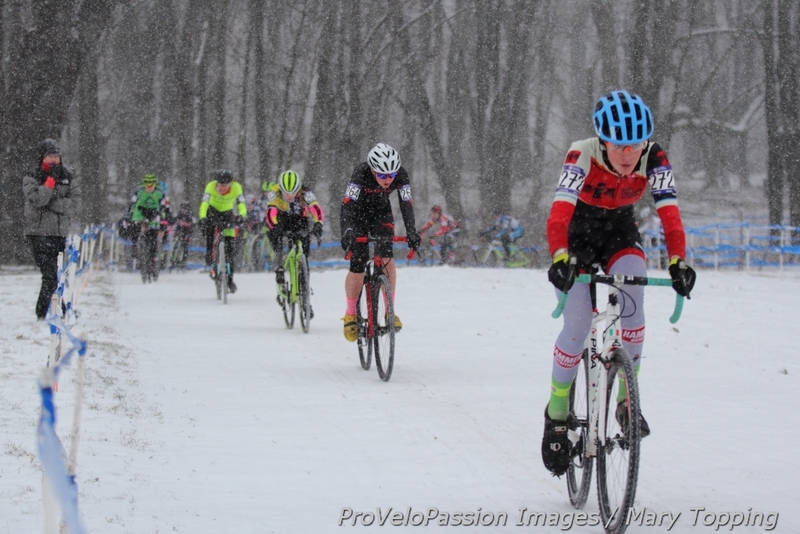 By lap four White had crashed pretty hard and appeared less comfortable on the bike. The fall ripped through his leg warmer, exposing a bloody left knee. 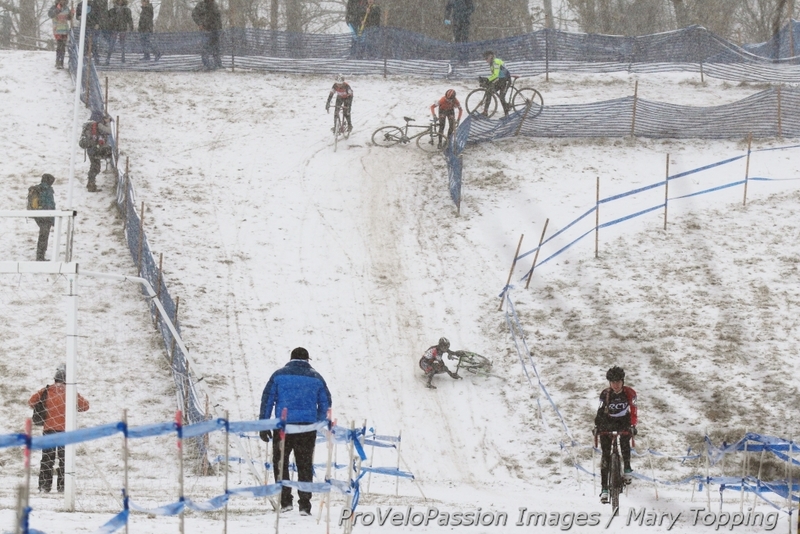 Hecht also took a spill, in lap four going into the trees from the descent. It took him another lap to regain his composure, he said. Hecht’s crash helped Chance fly off the front going into lap five. He had a small gap to Fix, who was chased by Hecht and Haidet. Ellwood hung in there in fifth position. The top five would come from this group. 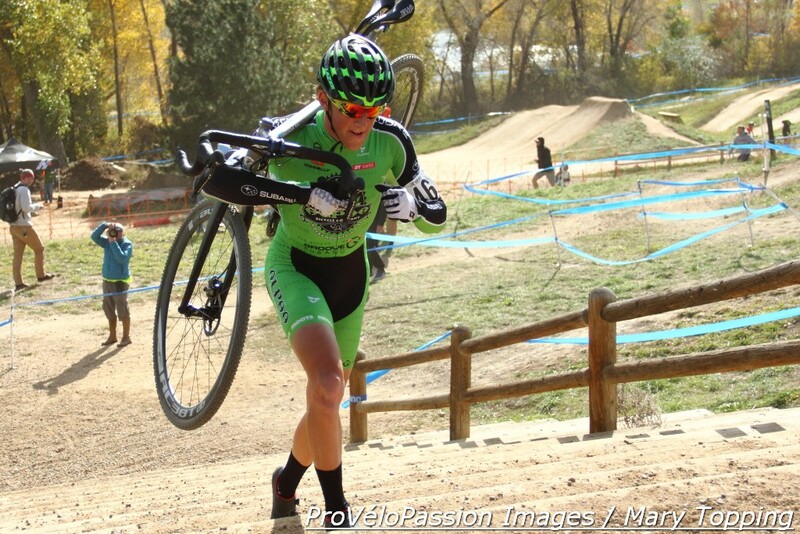 Willsey rode in sixth and Curtis had tailed off his teammate’s wheel. 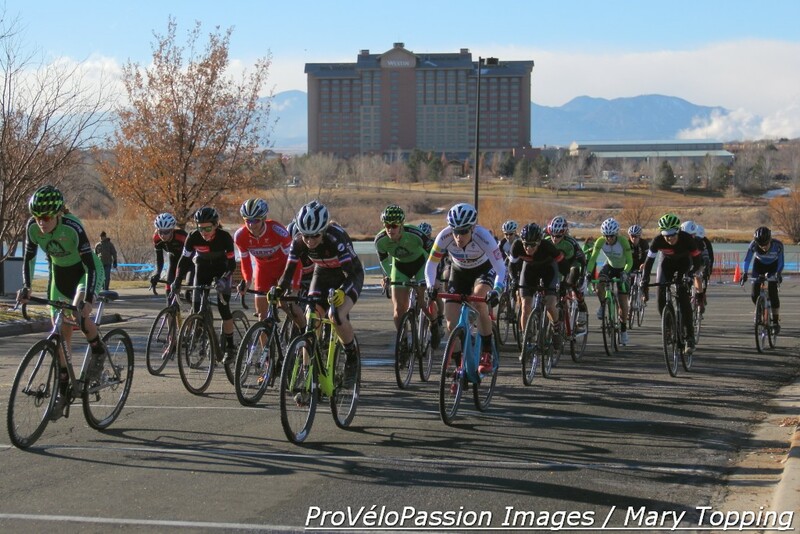 In lap six Chance still set the pace as Fix tried to limit his lead and Hecht and Haidet worked to move up. Willsey and White now dangled off the back of the top five. 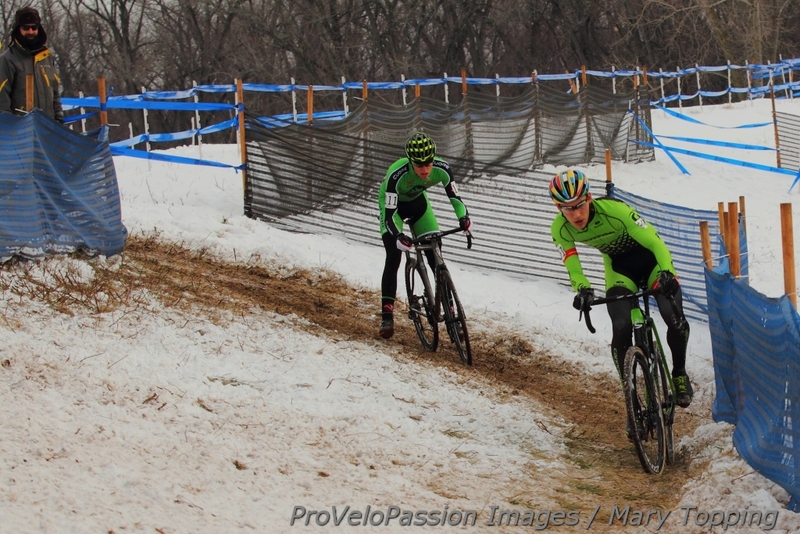 Spencer Petrov (left) and Nathaniel Morse on the last lap. 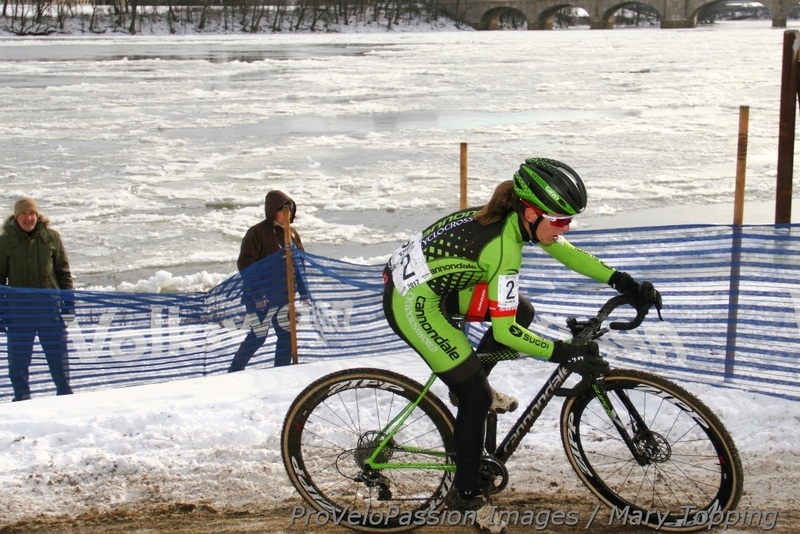 A bold rider from Texas ended the winning streak of a pair of Coloradoans in the women’s 40-44 category at the USA Cycling Cyclo-cross National Championships in Hartford, Connecticut. 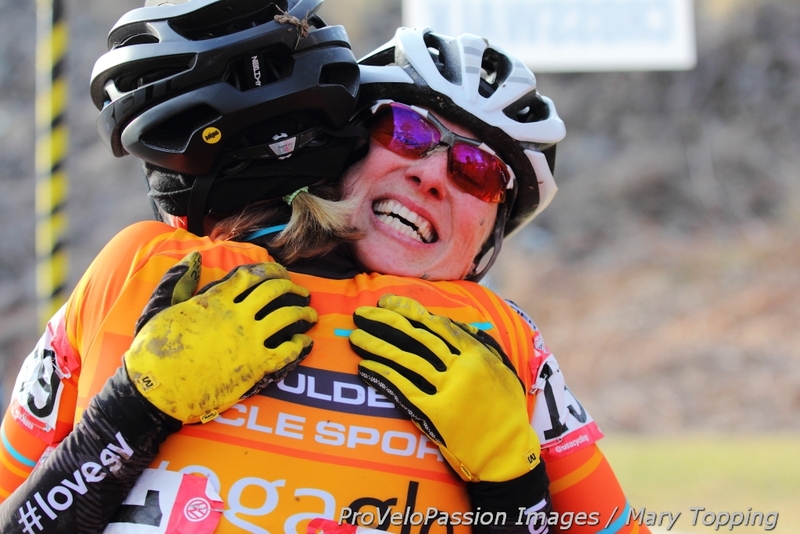 Regular rivals in Colorado local racing, Kristin Weber (Boulder Cycle Sport / YogaGlow) and Melissa Barker (Evol DevoElite Racing) won the title in 2015 and 2016 respectively and entered this year’s race fit and ready. 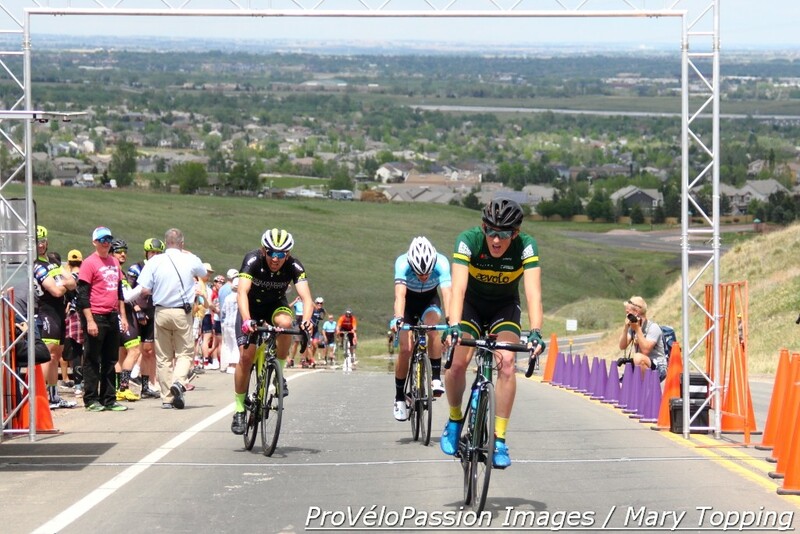 The Coloradoans looked as if they might be off in search of another win as the Texan, Christina Gokey-Smith, fell at the turn onto the approach to Bonk Breaker Hill in lap one. But Gokey-Smith soon surprised Weber and Barker by bombing the long descent off that hill, passing them in a stretch of deep ruts. “She was really strong. She was flying,” Barker said. 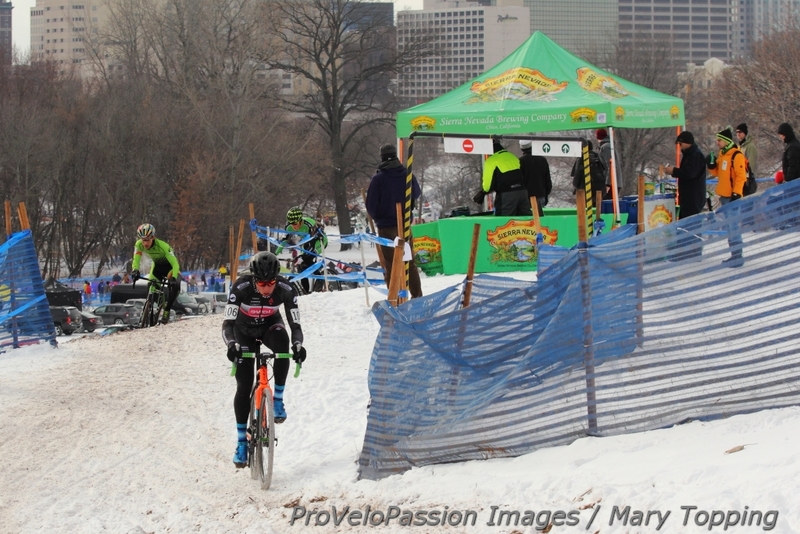 Gokey-Smith (Matrix/RBM) padded that lead with each subsequent lap to win by 57 seconds. 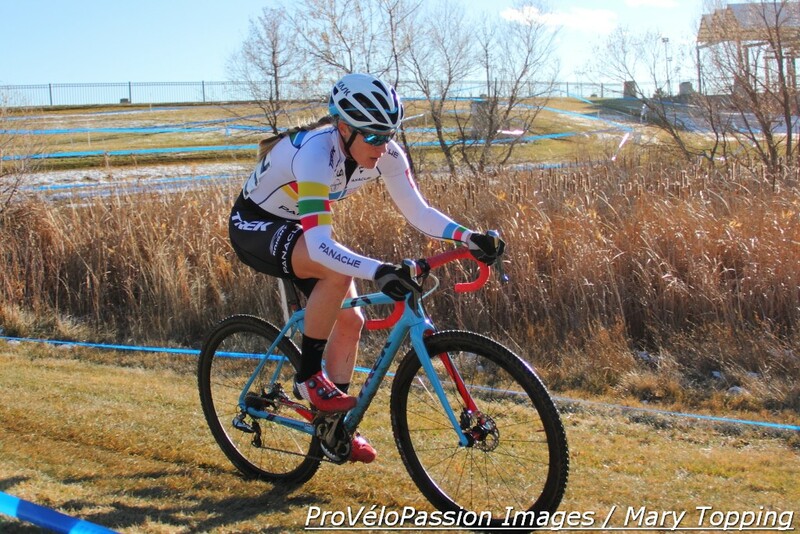 Behind her, Weber and Barker settled into the battle for next best. When asked if the pair were working together in the second lap, they described their efforts. “We definitely traded back and forth a couple of times and I think I had Melissa through this technical section,” Weber said, pointing to turns through the trees. Then she recalled one of her challenging moments: “I bobbled one time there and you came by me,” she explained to Barker. 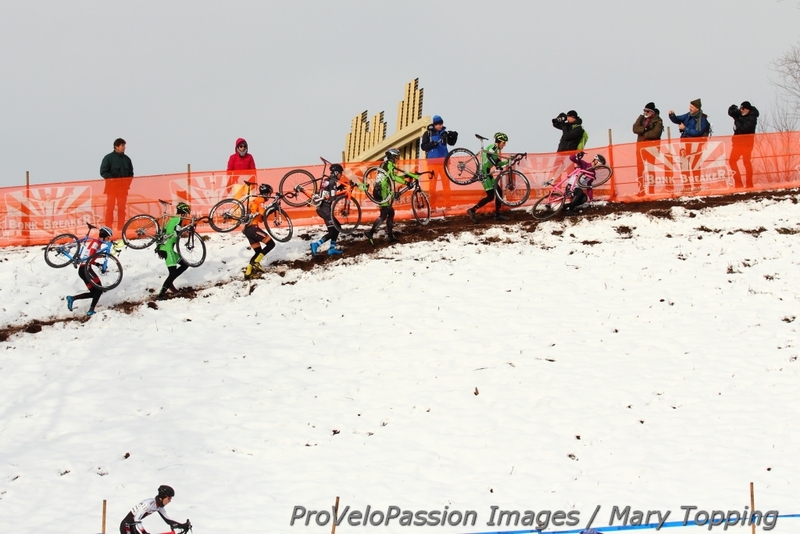 Their challenge lasted until lap three when Weber gained some ground which carried her into second place. Barker finished third. All in all, the two women were satisfied with their results. 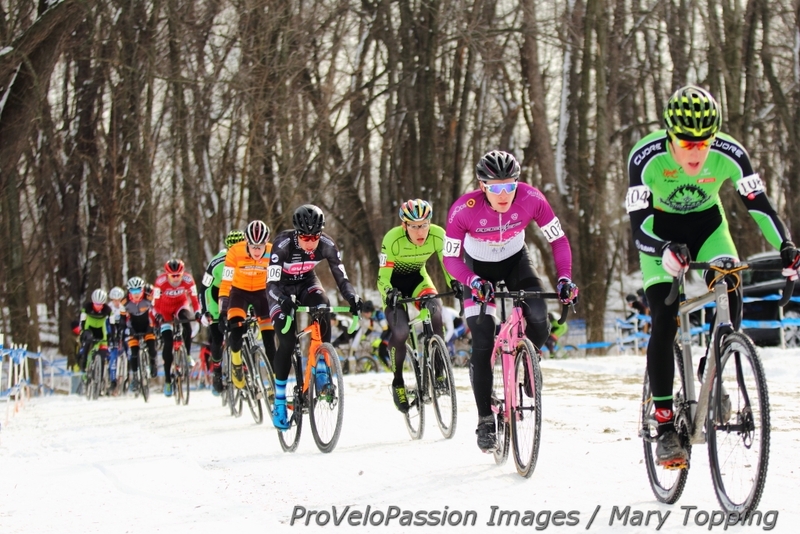 “Melissa and I went back and forth a lot this year [in local racing], instead of last year when she pretty solidly won most of the races,” Weber said. “So I felt pretty good coming in to nationals this year. I just came into the day thinking I really want to have fun. I love this kind of course. It’s super technical and my kind of thing, so I told myself just don’t screw it up and get all heady about it. 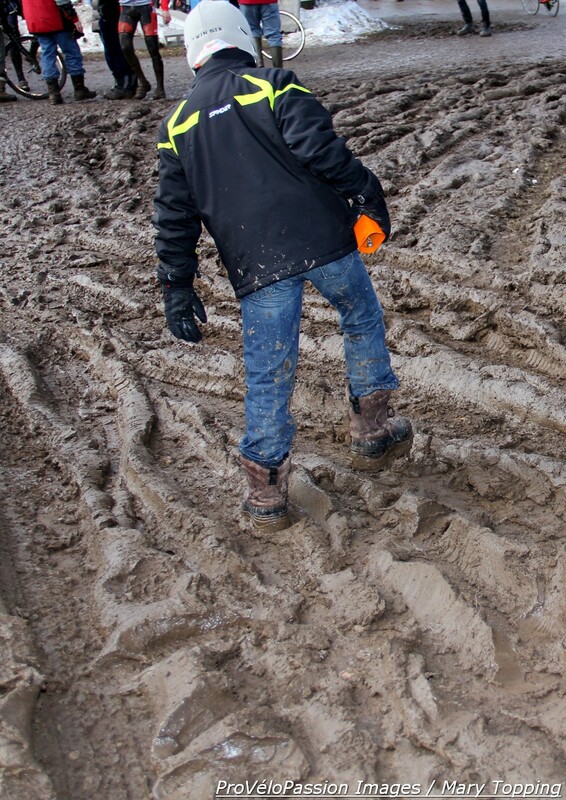 With all the ruts, a smooth ride was hard to find. “The parts that I found to be the most challenging were the frozen ruts and the technical turning sections with the ruts,” Barker said. 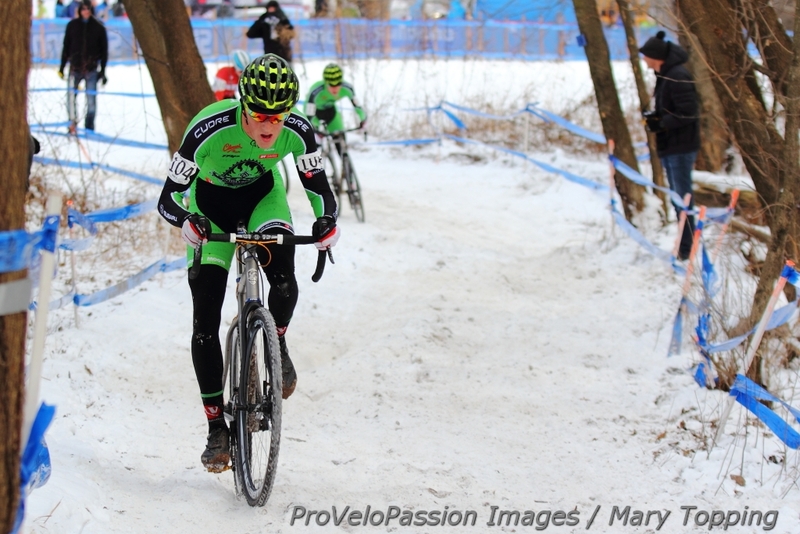 “If you got out of the line it was really hard to get back in, so I had a little trouble in the last lap. I had to jump off and jump back on. 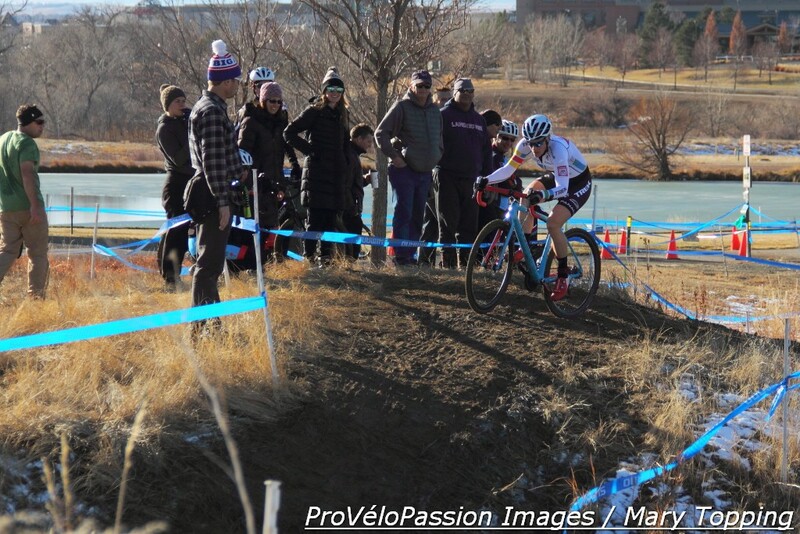 The Coloradoans will resume their competition next season in local cyclocross races. But they won’t face off at nationals because Weber will move into the 45-49 age group. Just maybe, she’ll miss lining up in the same row as Barker. 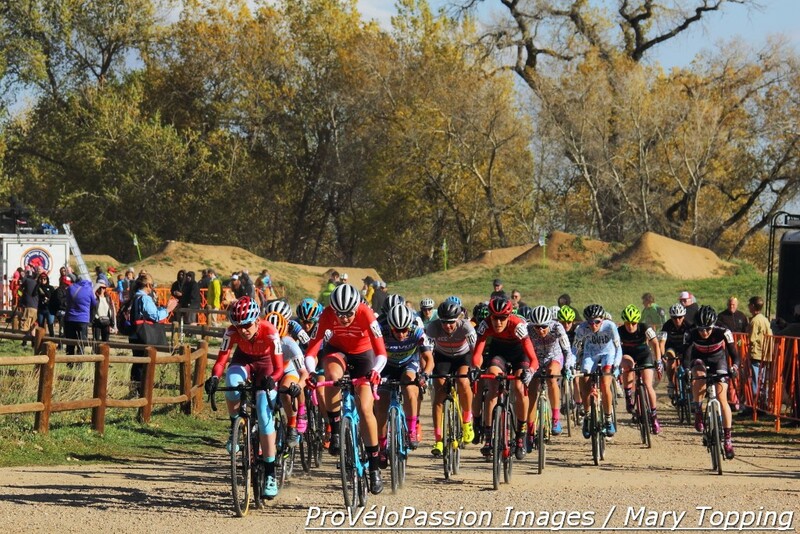 As you prepare to head to cyclocross nationals next week, check out this story for locals’ insights into how to enjoy a great trip. 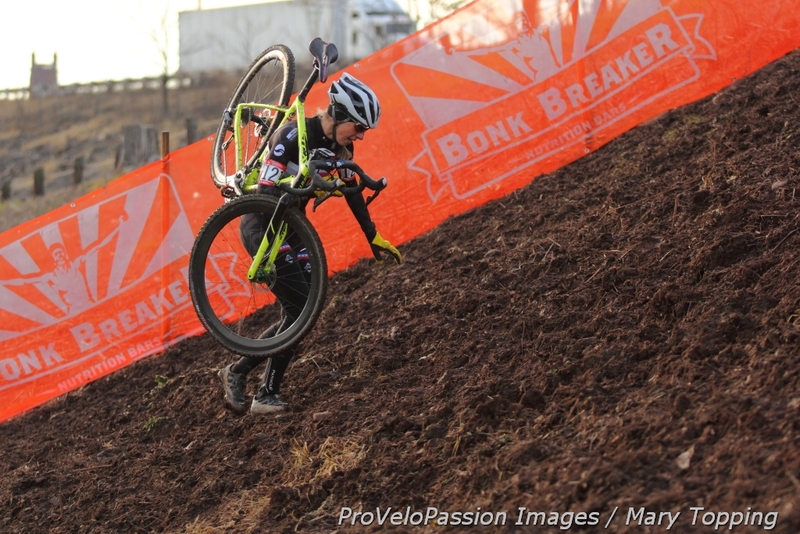 Will we see Madison 2013 nationals mud in Hartford? 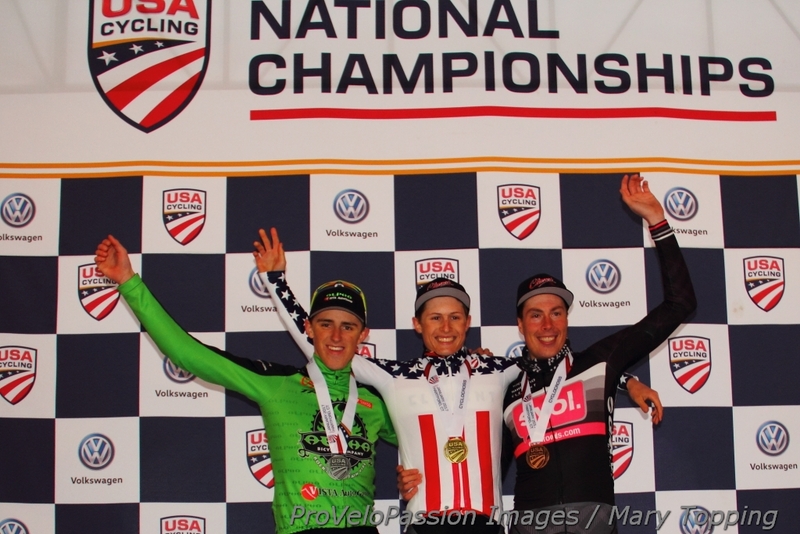 See the rest of the story on USA Cycling’s website. For a peek at the lay of the land at the venue, including access to the park, view this video. Online registration closes on December 31, 2016, at 11:59 p.m. PST. ProVéloPassion can’t wait to see you in Hartford!